Published on February 3, 2012 February 27, 2012 by cara.b.b. our unusually warm weather gave us the chance to play outside a few days ago, and we jumped at the chance. 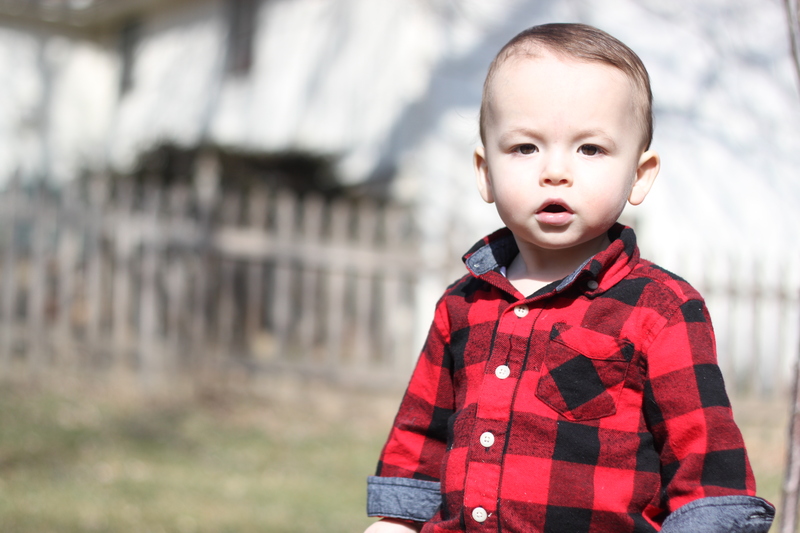 these were taken moments before he face-planted into the glider on our porch and scored himself a big fat lip. there was a lot of blood, and i was moments from panic mode (does he need stitches!?! is his tooth stuck in his lip!?! 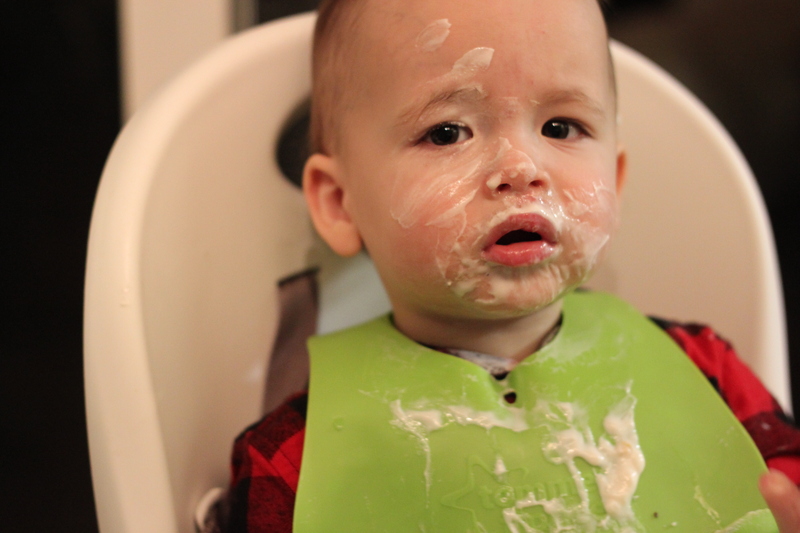 ), but thankfully the bleeding stopped, and after some well-deserved crying, all was well. i’m sure this will not be the last injury for this adventurous little boy. his own father had stitches like 3 times before he was 4! i’m a little scared. 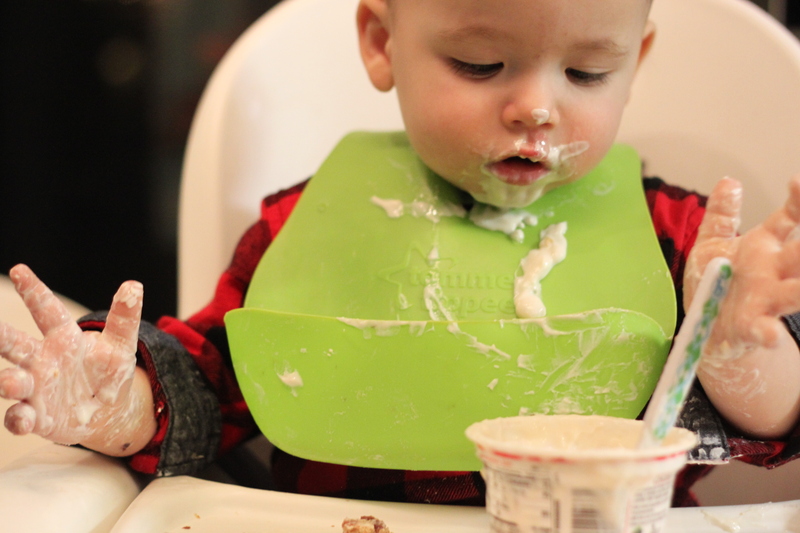 we had a yogurt party later in the day, and i swear this child could eat his body weight in chobani. you can see who was in charge. 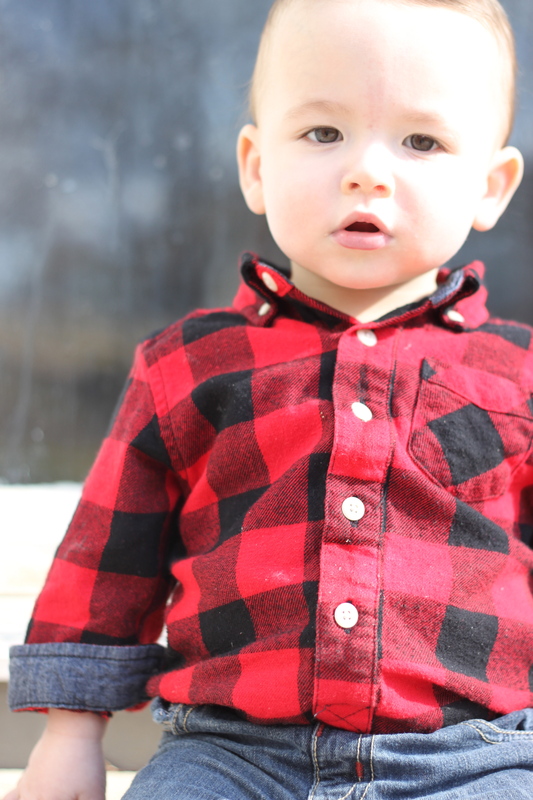 That is a cute boy. I bet his grandfather is a handsome man. HA HA !!!!!!! you’re right, how did you know?? I think that boy has your husband’s metabolism. Hi Cara! This is Molly, Vicki McCue’s daughter. I love your pictures, you have such a beautiful family! I am wondering what lens you use on your camera? hey molly!! thank you so much! 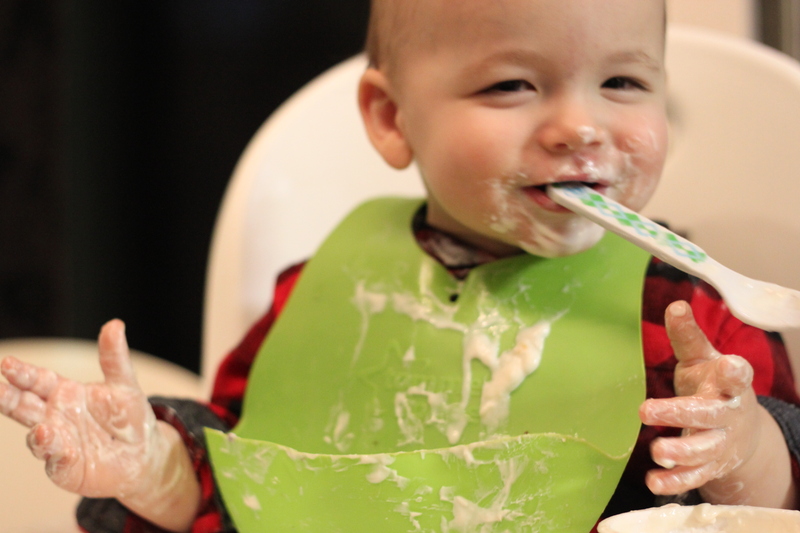 O. M. G. Someone get this cutie a napkin…how adorable is he?! Oh so cute! 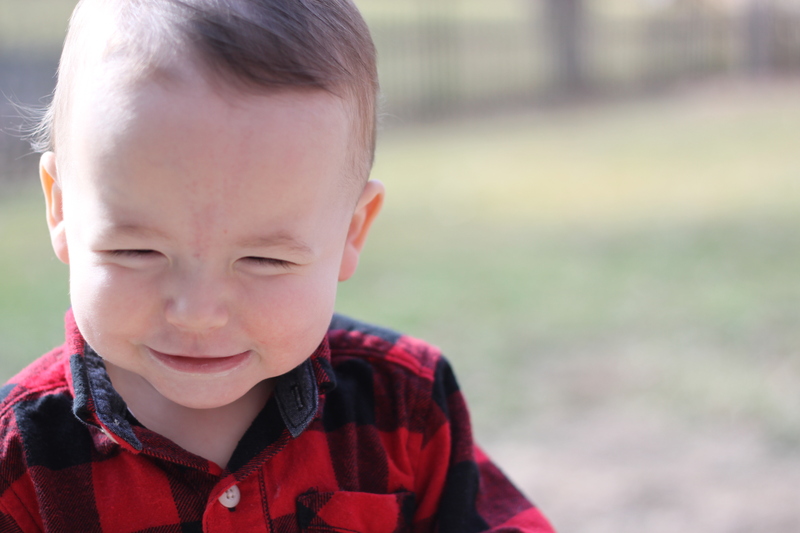 His dad’s first stitches were at about 14 months, ( I think) so be glad you have made it this far. You are doing great! !